PROFI Caramel Coffee provides a convenient and delicious way to boost your protein throughout the day. On its own or mixed in your favourite recipe, delicious every time! 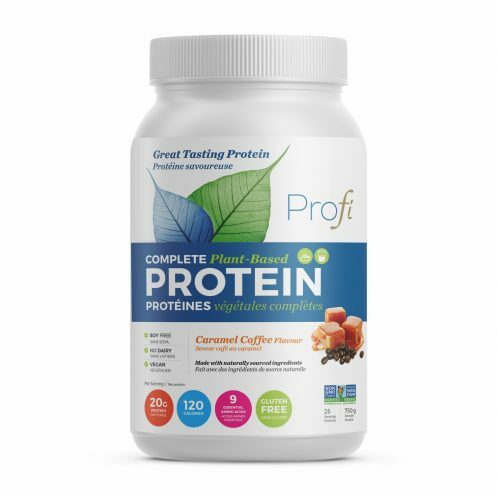 Fuel your day with PROFI Caramel Coffee protein powder! This stuff is the bomb. I bring it to work and have it instead of an actual coffee. Why not? You get your protein and it’s like having an iced coffee or latte. It’s fine with just water and mixing with almond milk takes it up another level. I am buying this 2 at a time to make sure I don’t run out. Thanks so much Lisa! We are SOOO happy to hear that you love it! I used this amazing flavour almost every day! The texture is soooo smooth! Great flavour!!! When mixed with coconut milk tastes like an ice coffee from Starbucks!!! It’s also great with just water! One of my fav Profi flavours!!! This stuff is dah bomb. Normally I HAVE TO always mix protein powders with almond milk. Not this one. It is great with just water. I have this at work every a.m. instead of having coffee. Love it! Will remain a loyal customer. This flavour is amazing. As a coffee lover, I usually mix it with an almond latte and it’s perfect. The protein tastes good even with water only. I just wish they had this one in a stevia free version (personal preference). Hands down the best vegan protein powder ever! I use it cold with cashew milk as well as in a protein mocha latte with added cocoa powder. Yummy!! Absolutely delicious, this is one of the best tasting plant-based protein powders I’ve ever tried and it goes wonderfully with espresso 🙂 Highly recommended! This tastes great and is good to make a protein coffee after an early morning workout! Very good! I love this in a smoothie with banana, cocoa powder and almond milk! Delish! This is by far my favourite flavour! The perfect amount of sweetness, and it really does taste like a caramel coffee. I usually mix it with water, but it’s also great when I mix it with cashew milk. 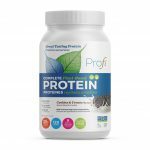 Profi is the only plant-based protein I will buy! I am in love with this flavour!! Either in a shake with some oats, a banana, and cashew milk or as candy; scoop of protein, scoop of peanut butter, some water and then in the freezer for 30 minutes or so, or blended into my mid-day coffee, it is delicious, smooth, the best vegan protein I’ve ever had!! Enjoy it!!! Tried this flavour to have a different option and it did not disappoint! Just the right amount of sweet and is great in a smoothie or even mixed up on its own with almond milk! This is absolutely delicious, mixes well and is easy to digest. My new favourite protein powder! Absolutely delicious, mixes well and is easy to digest. 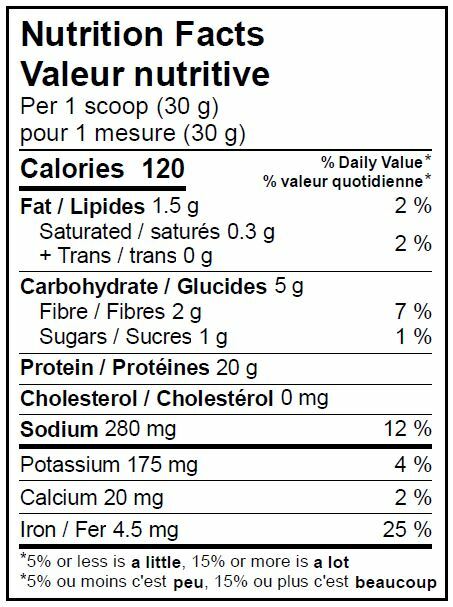 My new favourite protein powder. Hands down best flavour I’ve ever tasted. And a perfect list of ingredients as well. Need I say more? I love the texture, mixes in really well to my overnight oats and the flavor is great. maybe a tad too sweet but I can live with that! Great products. I’ve tried multiple protein powders in the past and couldn’t handle the taste/texture of any until I came across this brand. Absolutely love it. Great tasting protein. Used caramel coffee in pancake mix makes them taste like there is syrup on it!